22-year-old Milwaukee Brewers rookie Freddy Peralta tossed seven innings of one-hit ball while striking out 10 in a 5-1 victory over the Kansas City Royals on Tuesday night. 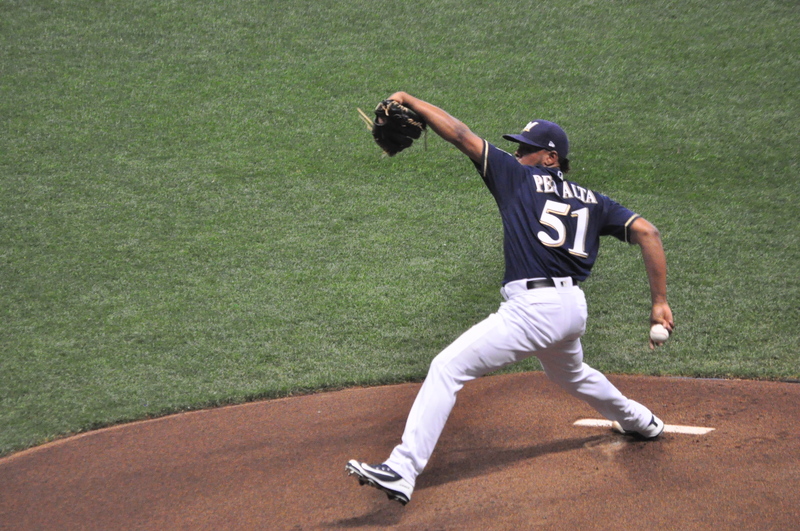 Peralta, who had previously used his fastball about 85% of the time, threw more curve balls on Tuesday night and he was throwing them for strikes, improving to 3-0 on the season. 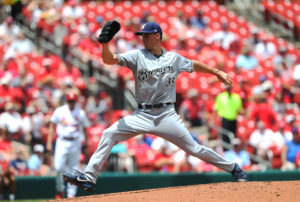 With Zach Davies set to make at least one more rehab start on Friday night in Appleton, which means Peralta will get another start for the Brewers when he faces the Reds in Cincinnati on Sunday. After that, who knows. Christian Yelich got things rolling with a home run in the first inning, swinging on a 3-0 count. Ryan Braun and Jesus Aguilar also went deep. Aguilar clubbed his 17th home run of the season. Brent Suter (8-4) pitches the series finale for the Brewers this afternoon at Miller Park. The Milwaukee Brewers racked up nine hits on Wednesday, but managed just one run in a 3-1 loss to the Indians in Cleveland. The Indians swept the two-game series. Carlos Carrasco scattered eight hits, seven of them were singles. He walked just one while striking out 10 Brewers. 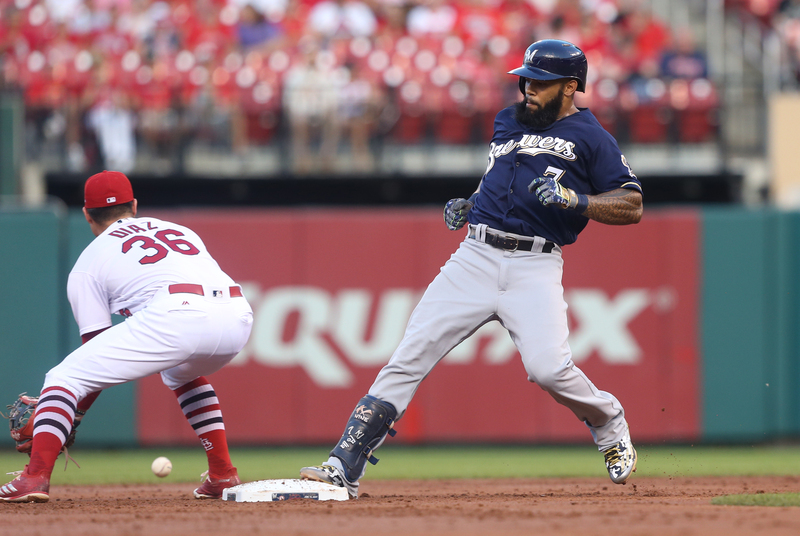 The Brewers scored first after Christian Yelich led off the second inning with a double. He moved to third on a groundout and scored on a Travis Shaw RBI single. But that would be it for the Brewers offense. 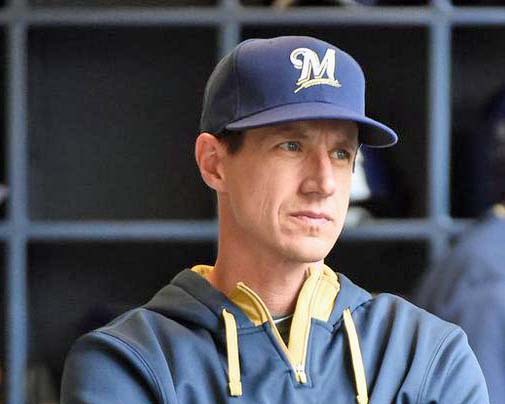 After Cleveland tied the game in the fifth, Brewers manager Craig Counsell removed starter Chase Anderson (4-5), going with Jeremy Jeffress to get out of a jam. That plan failed after the normally dependable Jeffress surrendered the go-ahead run on a Jose Ramirez RBI double. Jeffress then walked Edwin Encarnacion and Yonder Alonso, forcing in a third run to close out the scoring. Counsell was ejected in the eighth inning, his third ejection this season. The Brewers fell to 1-4 in the month of June. They’re off today and open a 3-game series in Philadelphia on Friday night. 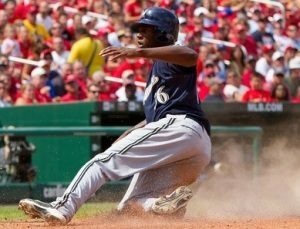 Lorenzo Cain homered on the first pitch of the game, and the Brewers never looked back, beating the Colorado Rockies 5-2 in Denver Thursday night. The Rockies tied the game at 1-1 when Trevor Story homered in the second. Then the Brewers created runs, getting a sac fly from Manny Pina in the 3rd, and RBI hits from Hernan Perez and Cain in the fifth. 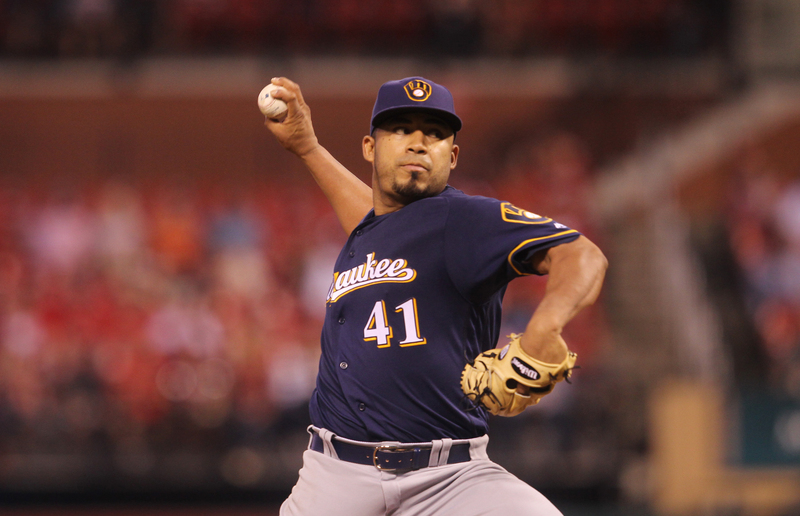 The offense supported Jhoulys Chacin, who limited his former club to 2 runs and 4 hits over 5.1 innings. He improves to 3-1 on the season. Colorado starter German Marquez struggled with his control throughout the night, and allowed 5 runs on 12 hits over 4.2. Yet again the Brewers bullpen was dominant, as Boone Logan, Matt Albers, Corey Knebel and Jeremy Jeffress didn’t allow a hit over 3.2 innings and combined for 6 strikeouts. Jeffress picked up his 3rd save. Cain and Perez had two hits, while Travis Shaw went 3-for-5. 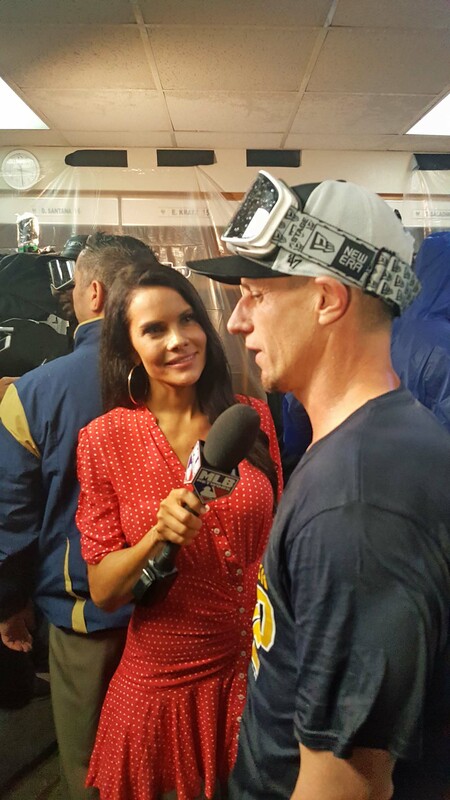 The win pushed the Brewers mark up to 22-16. The teams play game two of the series Friday night, with Chase Anderson throwing against Chad Bettis at 7:40. Brent Suter tossed 4 2/3 innings of two-run ball after coming in for injured starter Wade Miley, leading the Milwaukee Brewers to a 3-2 win over the Cleveland Indians on Tuesday night at Miller Park. Suter also helped himself with a 430+foot blast to dead center field off of AL Cy Young Award winner Corey Kluber. Kluber (5-2) allowed three runs on five hits over six innings. He also served up a two-run homer to Travis Shaw and has now allowed eight homers over his last four games.